ok, ok… maybe I’m starting to get into the Halloween spirit a little bit. I always dreamed of hosting my own Halloween bash, complete with ghoulish treats and devilish drinks. 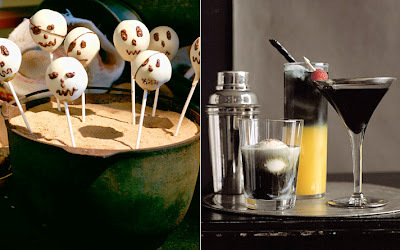 these sweets are pretty fantastic and the drinks are very spooky.